Born in 1949, Norman Smith studied Art and Design at Bristol before qualifying as a teacher. After travelling extensively in India and the Far East he and his wife arrived in Australia where he taught for three years before returning to England in 1987 to paint professionally. Norman works predominantly in pastel, a medium that is suited to the use of strong and gentle colour to depict the changing moods of the landscape. His technique is to apply sold patches in thick layers that create a heavy textured effect, treating the medium much like oil paint. He is attracted especially to coastal and marine subjects as these offer different challenges, a tremendous variety of colour and constant movement. 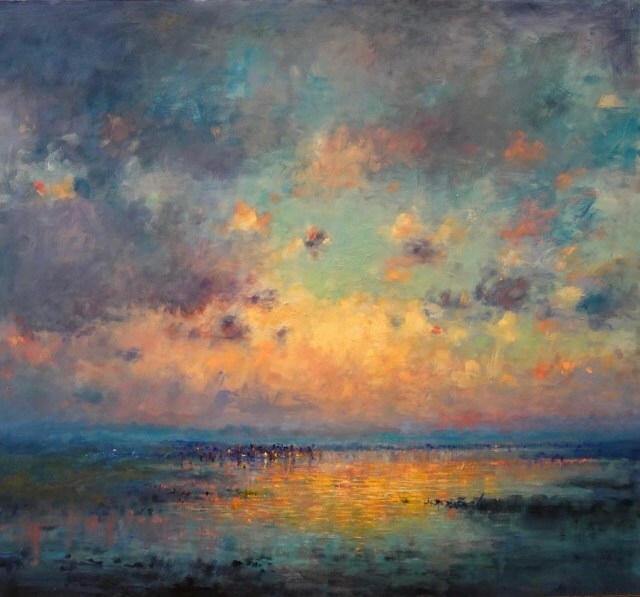 Recently he has reassessed his approach by concentrating on new and restricted palettes, together with an attempt to develop a stronger more vibrant image. This has led to the greater use of oils as a medium to further this approach. A member of the Pastel Society, Norman Smith exhibits widely in London and the provinces, regularly showing with the Mall Galleries, where he won the Longley Prize in 1999. He has also won the Inscribe Prize and in 2001 the Thompson Gallery Award. His pictures hang in many collections worldwide. He has had many successful one-man exhibitions throughout the United Kingdom.